Are you or someone you know having a baby or just had a baby? Then this is a MUST read for you. By Stockpiling diapers, wipes and other baby products you can save yourself time and money. There is almost always a sale somewhere on diapers and wipes. Most times you can get them for as low as $2.50 a pack of diapers and $1.00 per pack of wipes. We do come across times where both are FREE or even Money Makers. 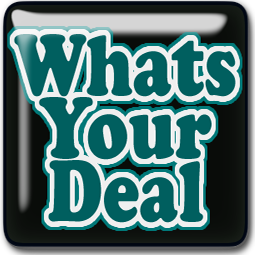 Following us at What’s Your Deal or What’s Your Deal on FB you will be able to see the sales and deals each week. I have found that Drug Stores usually have the best deals when you include “points” back. If you have a local store that doubles coupons, you may also find some great deals. The average newborn goes through 8-10 diapers a day. As they get older and sleeping through the night they may go through 6-8 diapers a day. This is based on about a 6 lb newborn. I don’t recommend stocking up on this until after you have the baby, some may only tolerate a certain brand and some may have to be on a soy. Once you know, then start stocking up. Remember most babies will start on baby food/cereal around 6 months, so the amount of formula will decrease. Diaper Rash Cream – You will use this from newborn thru toddler. Watch expiration dates. Baby Shampoo/Body Wash/Powder/Lotion – (I prefer J&J Head to Toe) no need to lug around 2 bottles. These will vary depending on what you use. **Create a “junk” email to sign up for these** this keeps your regular email clean. Join Couponing for Baby FB Group. 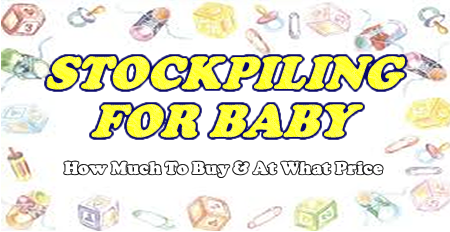 Where you will find all our baby deals posted. Make sure you also join these Cash Back Apps. and earn Cash Back on Your Purchases of diapers, wipes and more.